Gold prices move for many different reasons: the economy, the mood of investors, the health of central banks and central governments, among others. Average gold investors can’t move the metals market on their own, but there are some names that are so important, people who control so much gold that when they speak, the rest of the metals world listens. 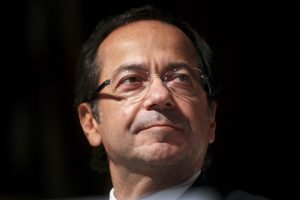 John Paulson is a legendary hedge fund investor. His fund, Paulson & Company, once worked with assets under management in excess of $35 billion. At one point in 2015, Paulson’s fund owned more than $1.5 billion in bullion, gold stocks, and gold ETFs. Paulson has many claims to fame, most notably his correct prediction in 2007 that the housing market, which was in a bubble state, would collapse. Paulson proved correct, and his strategic hedging and shorting netted his investors almost $15 billion in the process. While there is reason to believe that Paulson’s most influential days are behind him (AUM at Paulson & Co. fell dramatically in 2016 and early 2017), there is no question that his take on the metals market echoes around the rest of the investing world. Stanley Drunkenmiller, like Paulson, is a hedge fund titan. 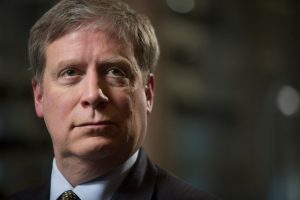 His hedge fund, Duquesne Family Office, frequently reports between $200 million and $400 million in gold holdings (all forms). Drunkenmiller has been in the gold news more often that the other names on this list in the past year. The night before Donald Trump was elected president, Drunkenmiller infamously dropped all of his gold holdings. The move made serious waves. Tyler Durden is not an actual gold investor. 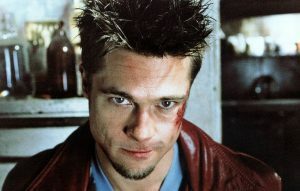 In fact, Tyler Durden is not an actual person. He’s really the central protagonist and antagonist of the novel Fight Club. The fictional Durden has dissociative identity disorder and goes by the name Narrator during much of the story. Durden is also the online pseudonym for the entire writing staff at the famous finance website ZeroHedge. ZeroHedge may be the most frequented site that writes proactively about gold and gold investing, and its (often bearish and sensational) take on the larger global economy. While there are more active websites that write about gold investing (such as 321 Gold) or more actionable online resources (such as Gold Investing News), no site is more influential. Each article posted under ZeroHedge lists Tyler Durden as the byline, alongside a picture of Brad Pitt, the actor who portrayed Durden in the 1999 adaptation of Fight Club. Given the site’s clearly favorable view towards precious metals and their emotional spin on the investing scene, Tyler may actually be one of the yellow metal’s strongest allies and most listened-to voices. George Soros is no consistent fan of gold, but the gold markets do listen to him from time to time. 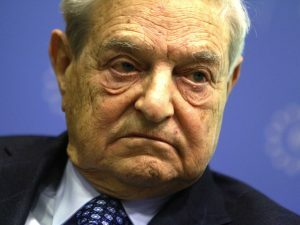 Soros once notoriously referred to gold as “the ultimate bubble,” and often mocked investors who bought real, physical bullion rather than corporate paper. That said, Soros is bearish on the future outlook of the global economy, especially China. This drove even the gold-bashing Soros to purchase more than 1 million shares in SPDR Gold Trust (the largest gold ETF) in May, 2017—an investment worth more than $123 million at the time. 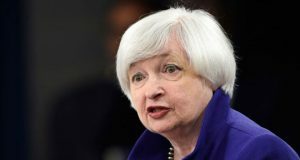 Yellen is the most influential member of the Federal Reserve and, by extension the most influential figure on the value of the U.S. dollar.